Any track lacking oomph NEEDS this plugin. While most plugins that deal with low-end add sub frequencies, many do not add character. REDDI adds the bottom end you need with style! 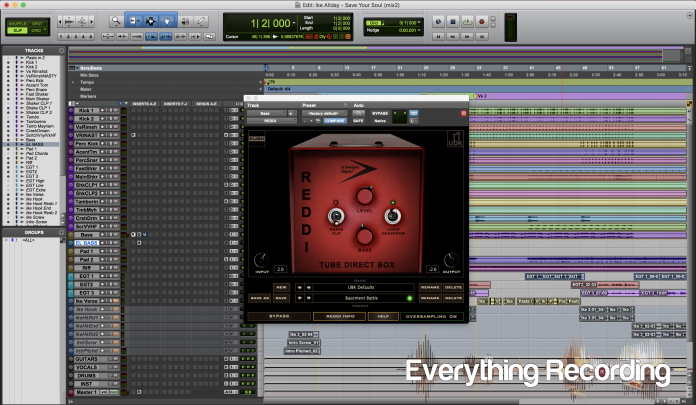 REDDI (Pronounced “ready”) is the latest release from Kush Audio’s line of A-Design inspired plugins. 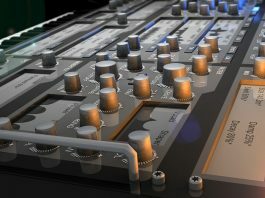 In a rather unorthodox approach for most plugin developers, UBK (Gregory Scott) has decided to create a plugin of an often-overlooked piece of gear in the studio – the direct box. I have to be honest, if any other manufacturer would have released a product of this type, I would have probably written it off as a cash grab, but since we’re dealing with the makers of the Transformer Suite (some of the greatest transformer saturation plugins I’ve ever used), I can definitely give it a fair shot. A half-assed Google search revealed my suspicions that there aren’t many (if any at all) direct box modeled plugins – which is somehow both surprising and not at the same time. 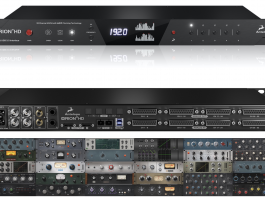 With so many preamp models of plugins, why not have a direct box? Employ any session bass player and he will most likely show up with some form of the hardware in his rig. In many cases, this is because the engineer wants both a direct signal as well as an amped signal but not all D.I. boxes are equal. Sure, you can throw a bass on a Rapco or Horizon direct box and be ok, but there are better choices that have more to offer – the A-Designs REDDI falls under the latter. This is the inspiration behind the REDDI plugin – a $775 all American direct box that is considered by many the “best D.I. box ever made”. This sturdy, red box features a 6N1-P tube amplifier directly injected into a Cinemag Transformer. This hardware unit was inspired by the Ampeg B-15 bass amp from the days of yore; but has been considered far more versatile, finding its way in both live and studio environments on everything from acoustic guitars to digital synths. The tube design combined with the Cinemag transformer takes boring, clean sounds and breathes new life into them with pleasing harmonic distortion as well as the weight of classic iron. The plugin version aspires to recreate these same characteristics; but does only what Gregory Scott and the magic of digital modeling can do – push the plugin version to areas that would be otherwise difficult for its hardware counterpart. This plugin is great for achieving tube-like harmonic distortion to color a track. REDDI was made to get down and dirty with digital. Just like an analog direct box, the plugin version was made to be placed at the very beginning of the signal chain of your DAW, before all other processing. The only real shared control between the hardware and software is the heart of REDDI, the “Level” knob. Although these knobs behave slightly differently, the impact of the signal is similar. 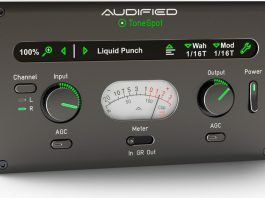 With the hardware version, Output level increases with saturation – with the plugin, the output auto-levels as saturation increases. 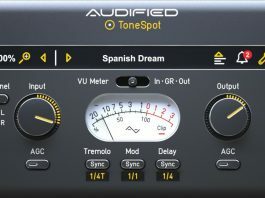 In order to accommodate the digital realm, the plugin version of REDDI has many added controls to expand the plugin beyond just a modeled version of the hardware. To dial just the right (or in some cases wrong) amount of harmonic goodness, REDDI has included 16dB input and output knobs. While the level imparts the overall character to the track, the input is almost just as important in order to properly gain stage the incoming signal for optimal impact. To add more control over the impact, Kush has added a very novel 20dB Headroom switch that adds a 20db pad before the input and offsets the output with a 20dB boost. This results in about ¼ less distortion for a more light-handed but still warming vibe, perfect for adding some weight and presence to a vocal track when EQ alone isn’t cutting it. With any plugin centered around lower frequencies, the phase is very important. REDDI features a phase switch on the output section that is always worth a try when applying to a track. Sometimes a 180 flip can make all of the difference in a between the kick drum and bass. All of the other controls are essential to dial in vibe and tone, but there is one control that on its own would make this plugin worth every bit of the price tag. Coincidentally positioned as the lowest knob, the “Bass” control is a freak of nature. This knob does not behave like an ordinary low-frequency shelf. This is due in part to the signal flow inside of REDDI. This low shelf pushes the sub frequencies in the track without overpowering the rest of the signal. I am fairly positive there is more than just a fixed frequency gain boost applied to this knob. To my ears, it sounds like a portion of the boosted low end is being added to the distortion circuit. When turned up the signal doesn’t get louder, it simply gets FATTER – turned down and the signal gets more focused on the harmonic distortion. It never sounds too thin or boomy. While the low shelf is tuned for bass, just about any track can benefit from a little love from below by REDDI. I have quite a list of plugins that are JUST made for this one function that can’t hold a candle to the Bass knob on REDDI. My kick drum will never be the same. I’m sure at this point you are asking “Are we dealing with just some model of an expensive direct box?” Absolutely not. What we have is an example of a plugin developer being a fan of a piece of gear and using the best parts of it to create a whole new tool. Kudos to A-Designs for letting Kush run wild with their imagination. 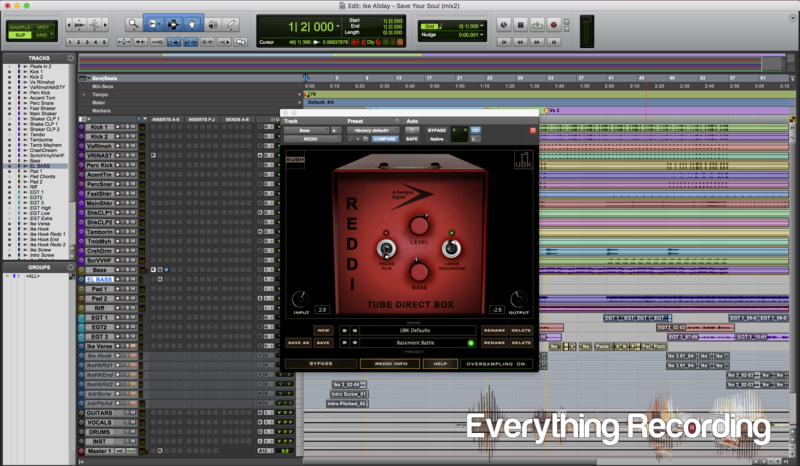 While I’ve never been fortunate enough to use the hardware REDDI, this plugin makes me want one. Sure, I understand that the Kush version has bells and whistles that the hardware doesn’t but there is an overall attitude this box brings that I want more of in my life. 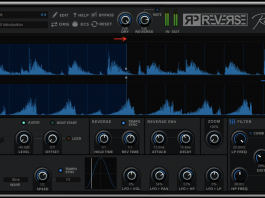 On kick drum and bass, the plugin version is everything a low-frequency enhancement tool should be. With the Pad engaged, kick and bass get a nice round tone that adds just a little heft. With the Level halfway, the Bass at 3 o’ clock and no pad, a kick drum pushes its way to the exact spot needed in the mix, complete with sub frequency for days and a little breakup on the transient “snap”. The best description I can give to what REDDI does to instruments is “weight”. Just like its hardware counterpart, it works for more than just bass. Sterile tracks get a nice layer of gel applied to throw a little “tint on the windows”. There is just “something” REDDI brings to the table that is tough to describe. Having trouble getting a track’s balance to fit in the mix? Add just a little level and bass to it. Your acoustic guitar tracks will love the level pushed even in generous amounts. Apply it to the first slot of your mix bus with the headroom engaged and bypass all other plugins initially. The results will speak for themselves. As I kept adding REDDI to older mixes, I found that some of the other plugins I had originally on inserts suddenly weren’t needed anymore. There is a very specific thing REDDI does that other plugins just don’t do. I hate that I don’t have any gripes and only great things to say about this plugin… I don’t want to come across as a shill for Kush, but I can’t make up gripes or issues. Feel free to get a free trial and personally send me any legitimate critiques and I’ll post them in this review. Actually, I have a lateral gripe that is quasi-related to REDDI. Kush needs to put a ¼” jack on the front of the Omega Pre because these two products belong together on bass. There… I griped. Overall REDDI has its own vibe and applies it without overpowering a track. 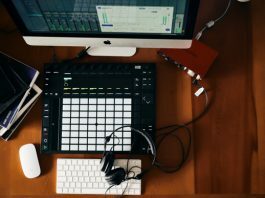 While it can’t be used solely to mix a song, I bet once you get your hands on it, you won’t want to mix without it. The controlled punch it adds to low-end content makes it both an easy and necessary choice when reaching for plugins. Combine it with the A-Designs Hammer by Kush and thank me later.